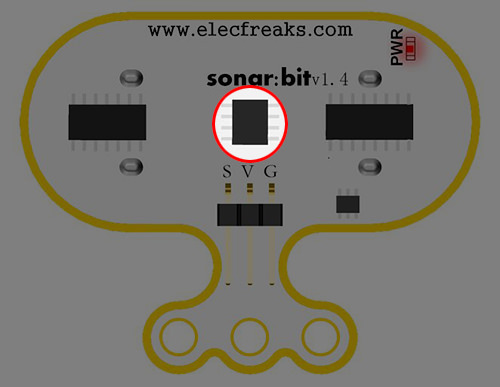 The Sonar:bit is an ultrasonic sensor module that works with 3 or 5 Volts. 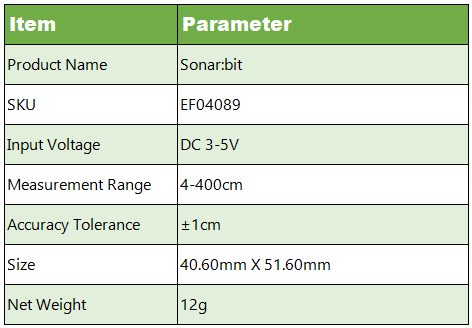 It can be easily used with only one 3-wire(GVS) cable, saving a wire from the usual 4- wire ultrasonic modules. 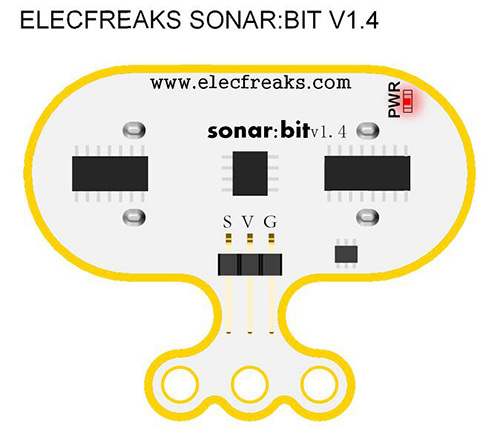 The measurement range of sonar:bit is 4cm-400cm. 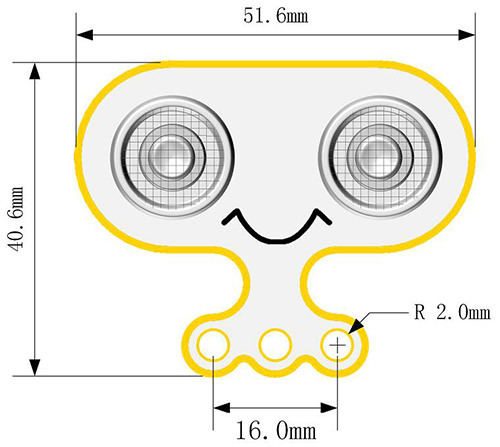 It can output stable and accurate measurement data with only ±1cm tolerance. 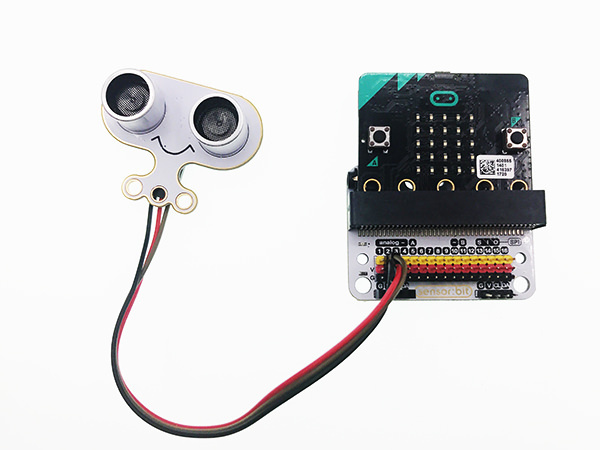 You can use this module for measuring short distances on smart cars, robots, micro:bit and arduino. 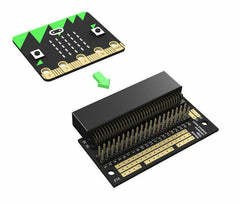 Enable to drive micro:bit or arduino directly. 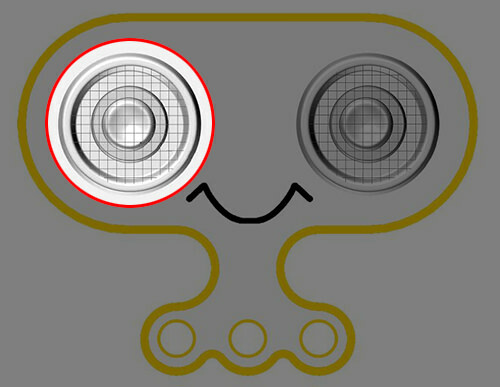 Standard 3-wire GVS connecotr, which occupies 1 IO port only. 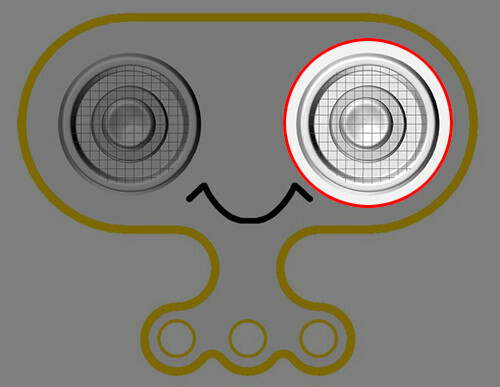 Transmitter is used to send ultrasonic signals. 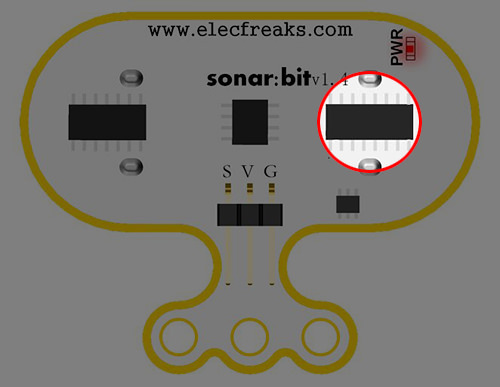 Receiver is for collecting ultrasonic signals. 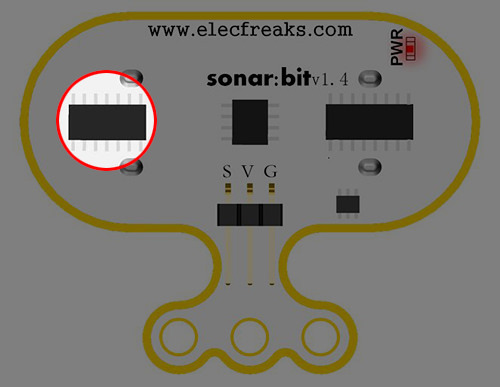 This is the master chip for the sonar:bit. 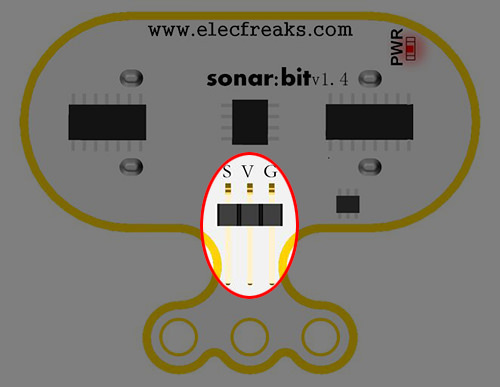 This chip is used to drive the transmitter to send out ultrasonic signals. 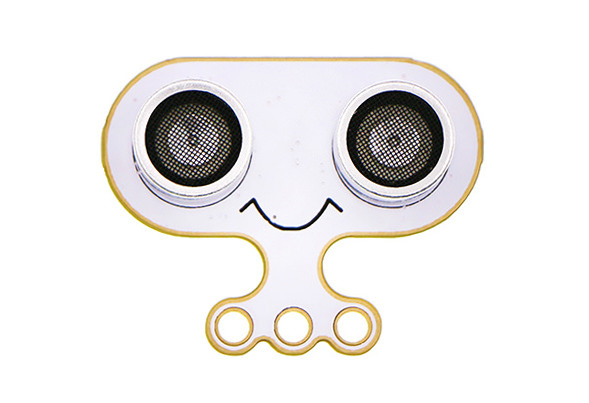 This chip is used to receive and process ultrasonic echo signals as well as give feedback to the master chip. 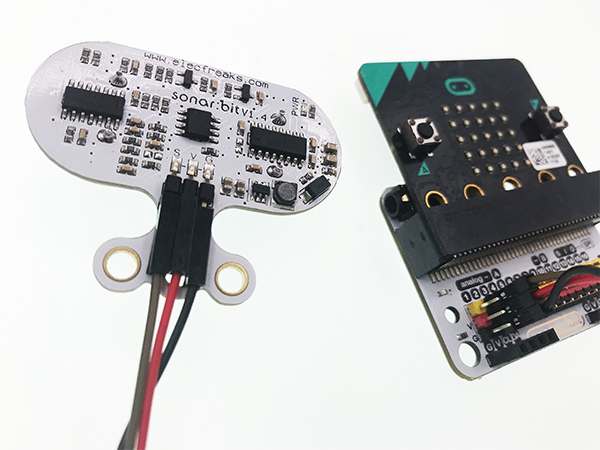 Connect sonar:bit to P2 port on sensor:bit and connect micro:bit to your computer. 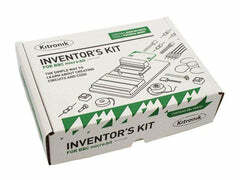 Click to open Makecode online editor. 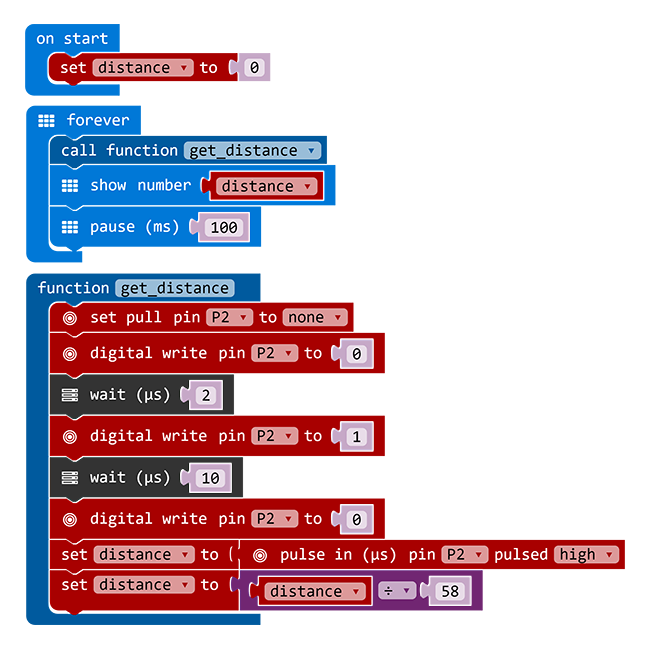 Write your program to assign the returned value of P2 to variable distance and display it on micro:bit screen. 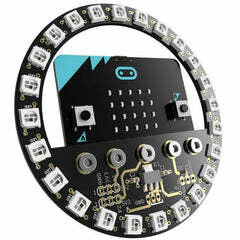 We can see the distance in centimetres, between the sonar:bit and the object displayed on the micro:bit in real time.